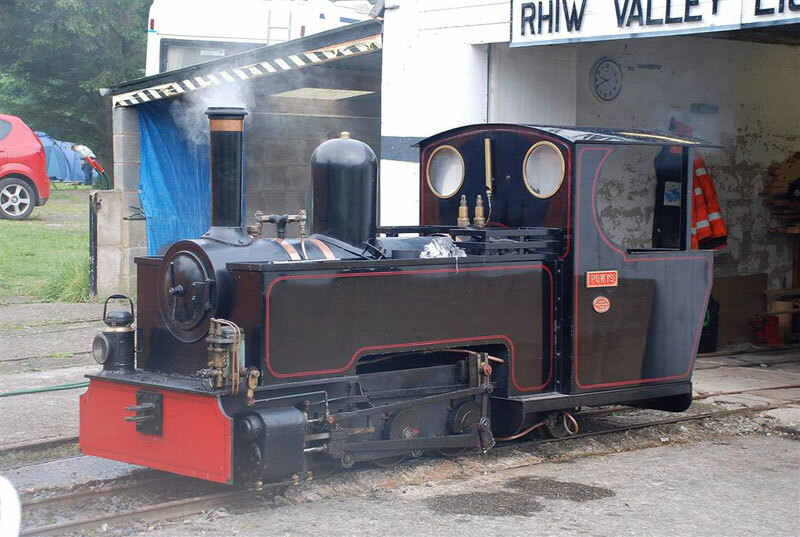 Jack is an 0-4-0 tender engine designed by Jack Woodroffe, Alec James and Neil Simkins. it was built by Jack Woodroffe and TMA Engineering. 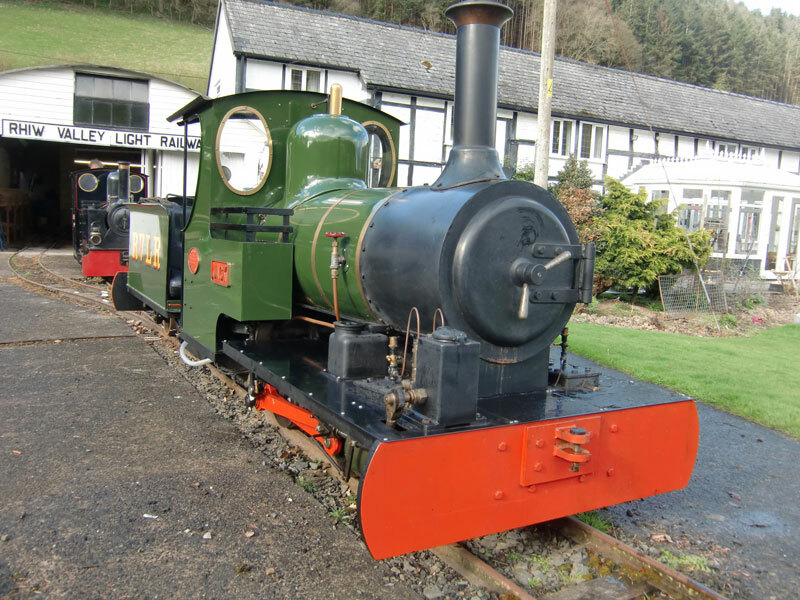 Powys is a David Curwen designed 0-6-2 tank engine built by Severn Lamb. During the running season of 2017 we discovered a small crack in a weld in the foundation ring of the firebox. This necessitated removal of the boiler offsite to be repaired by a coded welder. 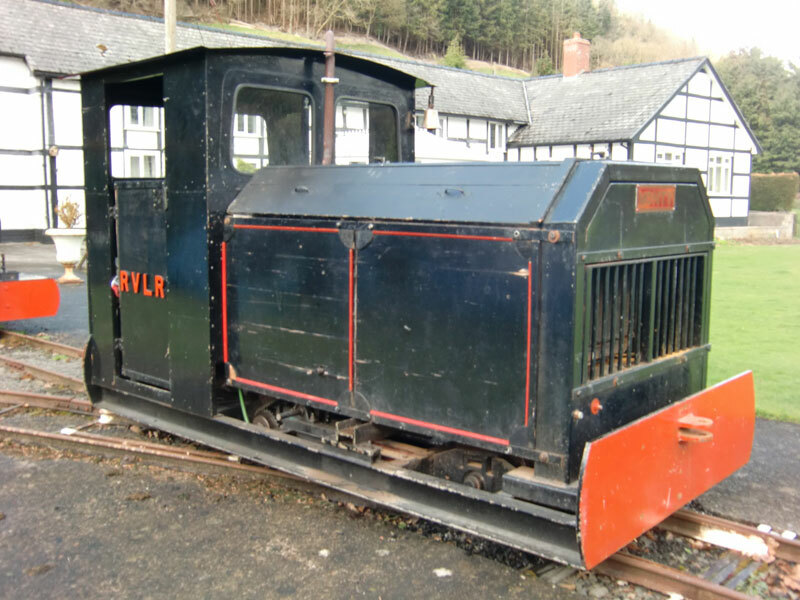 While the boiler is offsite we have decided that as we have already stripped Powys back to a basic chassis, we should repaint and completely rebuild the loco over the winter 2017/18. After the boiler has been welded, it will be hydraulically tested and certificated. At this stage, Alec is looking at fitting a steam brake instead of the mechanical handbrake. This will make braking a lot more efficient. The smoke box needs to be replaced as over 40 years the area around the chimney has wasted away to paper thickness. Alec will be fabricating this from steel and it will then be slotted into the chimney. Alec is also looking at making a water pump for each engine so that we don’t always have to rely on the injectors. The 2 side water tanks were suffering some corrosion and the corrosion is being removed using a pneumatic powered needle gun and mirror to help with the awkward places. A couple of patches of corrosion have been found to go all the way through and will be patched as necessary. The water tanks will then be sanded back and repainted using several coats of high build primer and a couple of top coats. We are looking for a volunteer with experience of lining. If anyone would like to help to line the loco, then please get in touch with Mike. Email mike@rvlr.co.uk. Monty is an 0-4-0 petrol driven freelance design engine designed by Harry Brunin and built by Jaco Engineering and Harry Brunin. Unfortunately during passenger hauling duty over our September 2012 Open Weekend, Monty suffered from a complete loss of oil pressure and power. Monty’s engine has been being removed for a complete strip down and overhaul. One of the problems turned out to be that the radiator burst in the frost and one of the core plugs had come out of the engine. The complete loss of oil pressure was due to a sticking pressure relief valve and this has been replaced with one of a later design. There was no oil getting to the top of the engine due to faulty assembly. The engine has been completely dismantled and all the bearings and bores were measured and all found to be at the maximum allowable wear tolerance. A new oil pump was fitted as a precaution. Due to excessive rocking of the engine, it gave the appearance of jumping out of gear and so some new brackets were fabricated to reinforce the engine mountings. Another problem was that the dynamo was not producing sufficient electricity at the speeds we were running to charge the battery and an alternator was fitted instead. A new radiator fan was fitted with a thermostatic switch so that the fan is not running permanently. Mark Lyddon kindly donated a horn. The chassis has been repainted and the axles have been turned as the wheels were badly worn. New sides are on order and the cab needs painting and some detail work. We currently have 5 hand built wooden carriages. The originals built by founder Jack Woodroffe and the new ones built by Mike Woodroffe and Bob Davey, with help from Malcolm Crosby and Les Jackson. This winter we are completely overhauling the carriages; the bogies have been inspected, the bearings and suspension have been greased and the brakes on the brake van have been maintained. We will shortly start to repaint the roof. There is some repair of the timberwork to be done, a couple of the RVLR logos need replacing and the window of the guards van needs some work. All carriages will then be varnished inside and out. We are planning to build another rake of carriages in a toast rack design so that we can run two trains simultaneously.